Today I did two important things… I called the housing director at Bethel Seminary and told her I would not be moving into the apartment they had reserved for me. Then I signed my financial aid package form, checked “No, I will not be attending Bethel Seminary and I reject all aids and grants”, then mailed it. I’ve been sad for the last couple of weeks with the startling realization that as a single woman, I have no idea how I can afford to go to seminary. The grants Bethel offered me were quite paltry and in their words, “It’s based on your 2006 income.” Which makes no sense to me, because I wouldn’t have that same income as a student. So I’d be forced, as Bethel’s MA program is three years, to take out about $50,000 in loans just to pay tuition and student fees. I’m starting to understand why it’s best to go seminary right after undergraduate school, because most likely the grants offered would be a lot more because my income was next to nothing. I could take out $50,000 in federal loans if I wanted to. Most people do. But in order to pay that back in the alloted time, I’d have to make a $300 a month payment. Honestly? I don’t see how that’s possible. I know what people who work in ministry make, and it’s not enough to afford that plus all the other expenses life requires. I don’t have the luxury of another income to help out with things like that. It’s just me, and I have nothing to fall back on. I’ve been reading about the high cost of seminary, and am not surprised some have the same experience as I.
I’m starting to feel like just another statistic of someone who wants to enter the ministry, even feels a called to it, and just can’t afford to go to seminary. Since 95% of full-time ministry jobs in the church require a master’s degree, what’s a person to do? Ignore the debt, be a bad steward of their money, and be saddled with debt for 20 years? Living a life with a burden vs. living a life of regret. I’m sure I sound incredible dramatic. That’s where I’m at right now, and it’s frustrating. 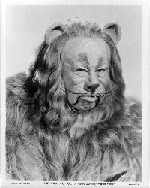 I feel like the cowardly lion, who’s been swat on the nose and instead of standing up I’ve run away.